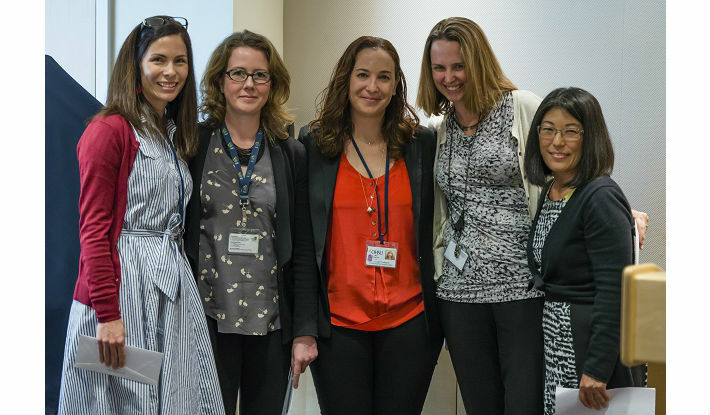 On May 10, OHSU held the annual Distinguished Faculty Awards Ceremony and the School of Public Health participated for the first time. Each school provides nominees and a finalist in one category, which rotates every year. In the category of Outstanding Excellence, the finalists for the award were Assistant Professors Ana Quinones, Liz Waddell and Carrie Nielson, and the winner was Kathleen Carlson. SPH Faculty Senator Karen Watanabe presented at the event.